For my AS level course work, for my art, I chose the topic of growing up. 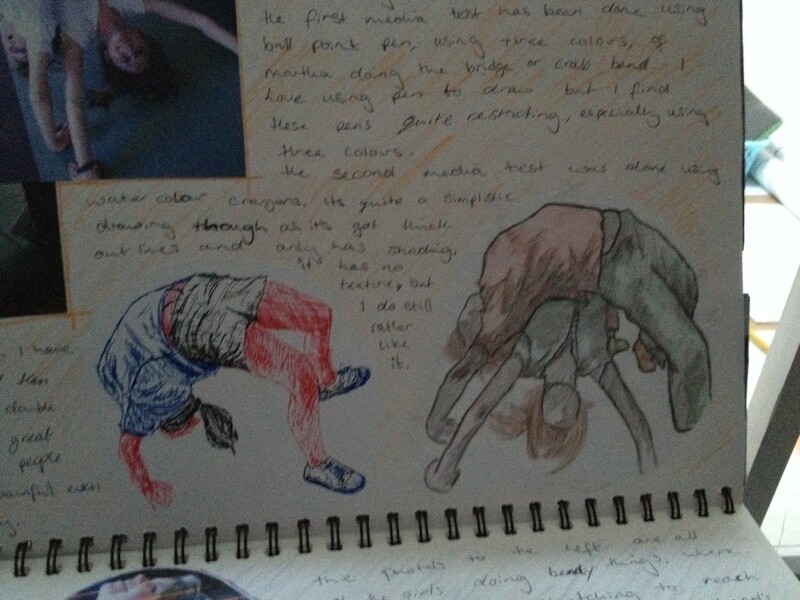 I expanded on one of my GCSE sketchbooks, as you can probably see. 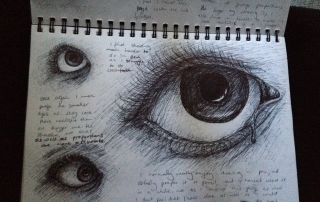 It was one of my favourite sketchbooks, and one of my lighter topics. My work went on to darker topics later on. Let me know what you think. At school we had a competition, which all of us art students entered. You had to take a photography, and the theme was the world of curves. The photo’s below were my photo’s I took for the theme. 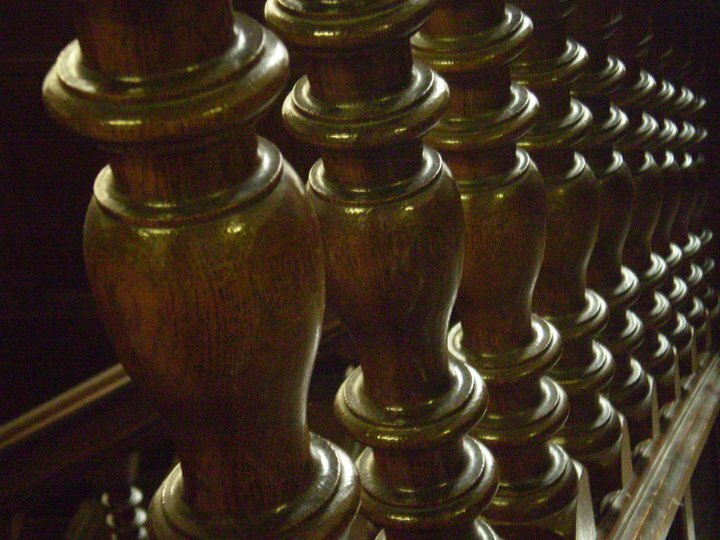 I ended up entering the photo of the wooden banisters, but I have no idea who won in the end (I don’t remember, so it obviously wasn’t me or one of my friends). My favourite is actually the photo of the phone cord curled up. 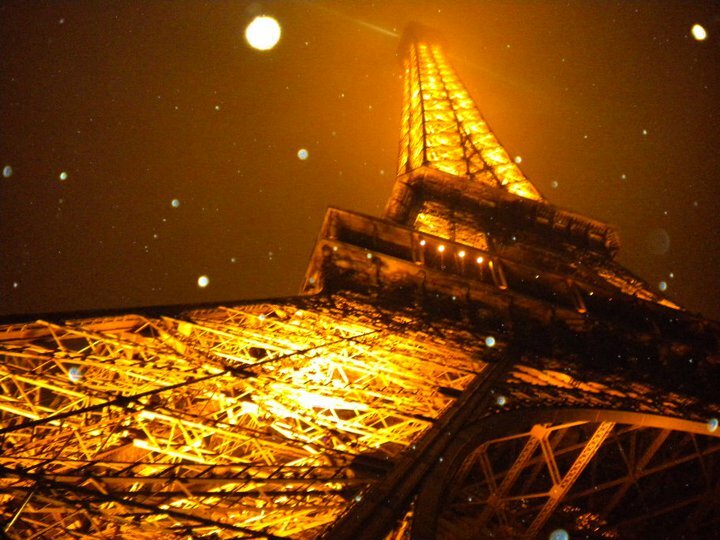 But these photo’s I took when I had just begun to learn how to take proper photographs, so I was quite proud of them. 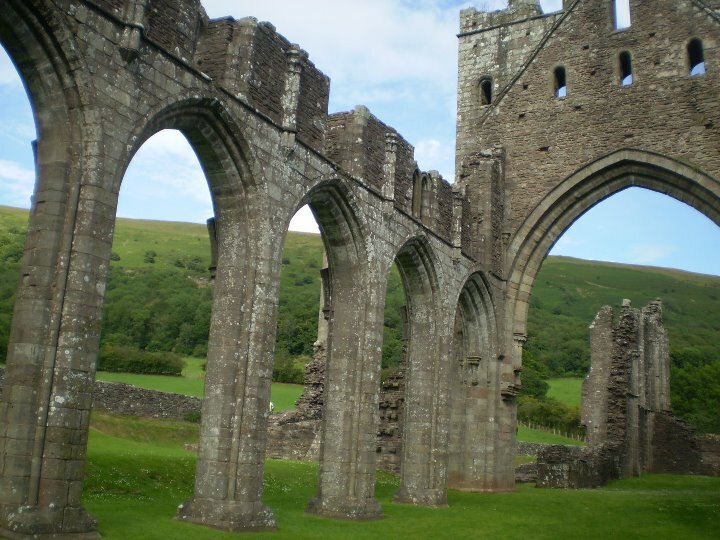 I went with my mum and brother the same year, to Llanthony Priory, as a day out. It was really picturesque, and so I took a lot of photo’s to use for my art. I later used these for a section on structure in one of my AS level sketchbooks. Feel free to comment. Between GCSE art and A-level (6th form) I started doing more anime/ manga/ cartoon drawings. They were to help me picture the scene’s in one of my old stories (which I still haven’t finished!). I put them on my wall, and slowly they built up to cover it. They’re still there now, 4 years later. The following photo’s show a selection of them, and the vast extend of coverage. 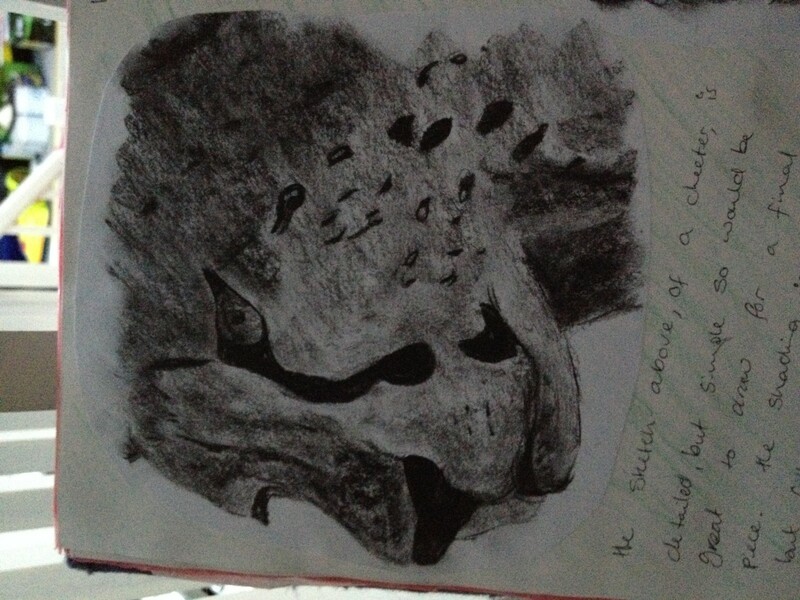 This is my third GCSE sketchbook, from year 11 at high school; and this time we were allowed to choose our topic. I chose people and faces, because I was, and still am, very interested in drawing them. This was one of my lightest and ‘normal’ art I did in school, as you’ll see once you see the abuse work I did in 6th form. 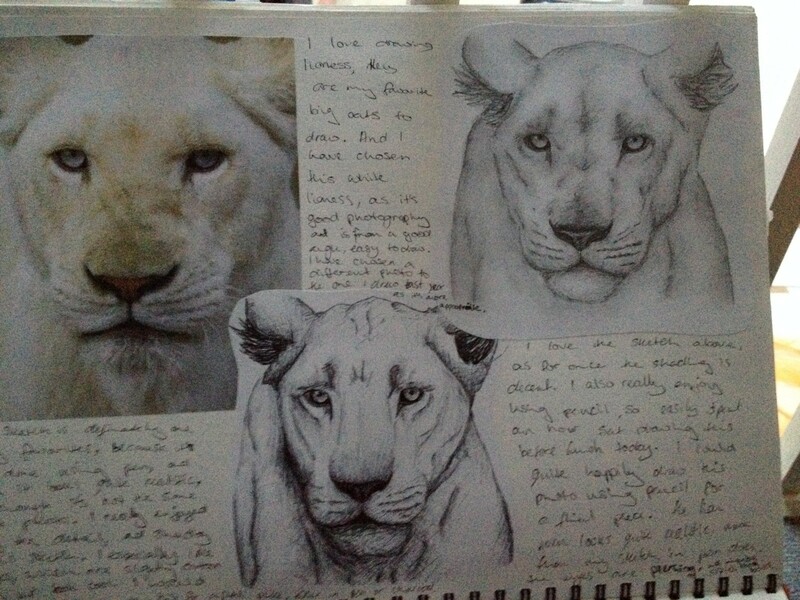 Again, the photo’s are in order of sketchbook, and then final pieces produced from that. I enjoyed this topic the most out of all of the ones I did at school. Hope you enjoy them, and feel free to comment. 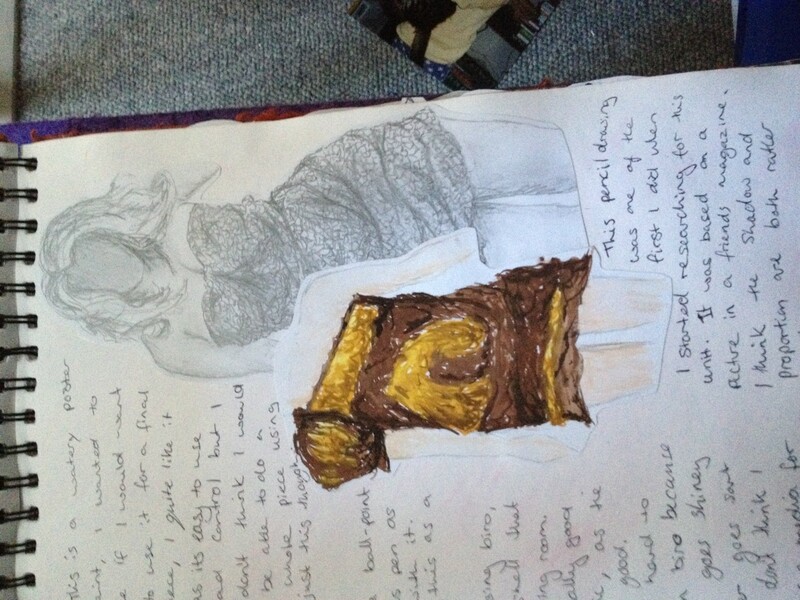 The following photo’s are from my GCSE sketchbook, with a fashion theme. We had to choose a theme from a list of four themes (which I cannot remember, due to it being 6 years ago) and originally I had chosen circus; but after experimenting I decided I prefer body forms, so went with fashion instead. 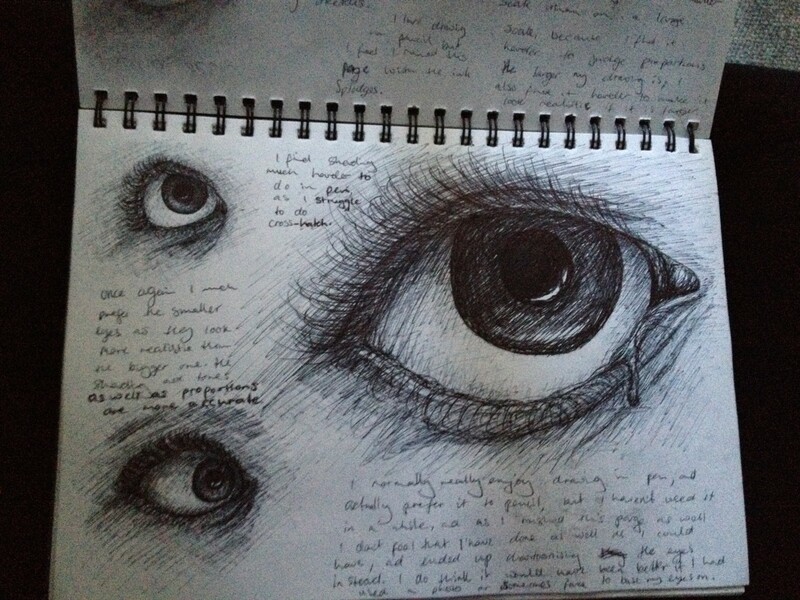 This was my first GCSE sketchbook, which I did in year 10, and is my first attempt drawing anything realistic and planned out. Hope you like them, feel free to comment. So, it turns out, while I was at home, I managed to catch some sort of bug. I’ve spent the last two days feeling very sorry for myself, but thought that this may be a good time to go through my photo’s from my trip home. 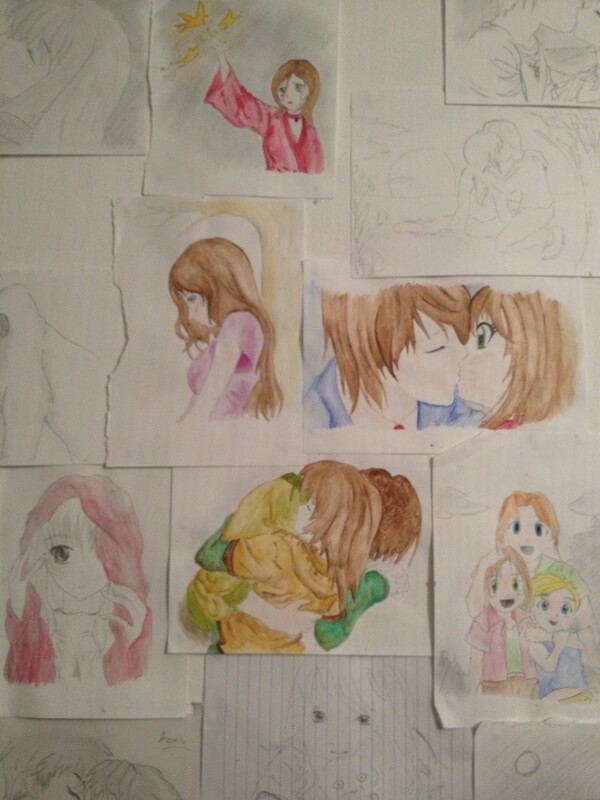 This is the first few photo’s of my art – these are from year 9 or 10 in high school, so I was maybe 14 or 15 years old. 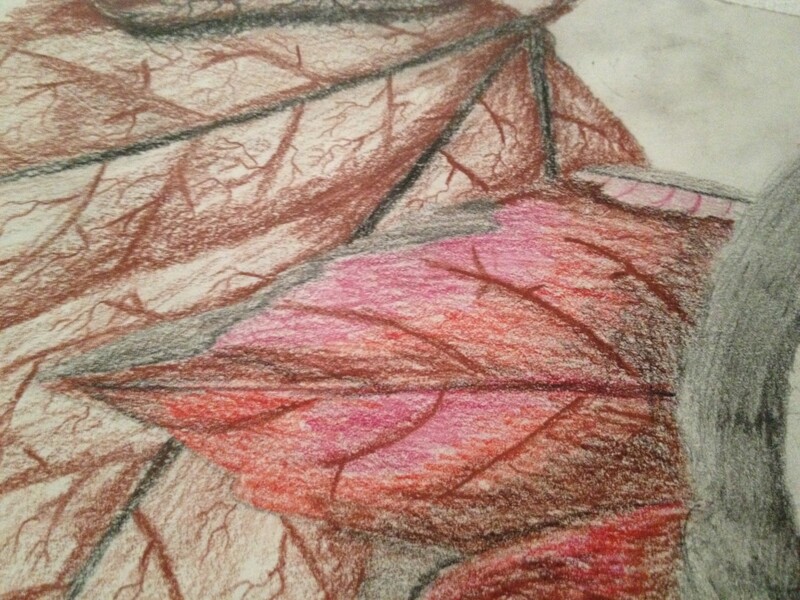 This is when I started to develop my skills in art, before I ended up taking art for my GCSE’s. This is when I first became interested in art.